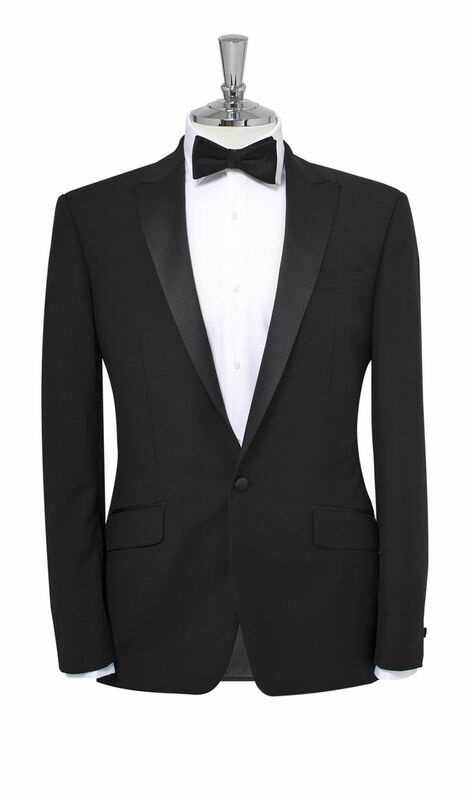 Step out in classically luxurious style with our dinner suit. 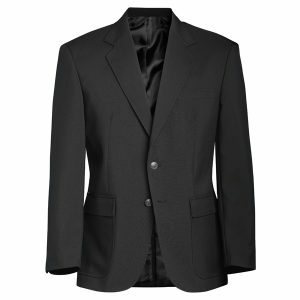 Made from a rich wool in deep black, it has a high-class appeal suitable for the most glamorous occasions. 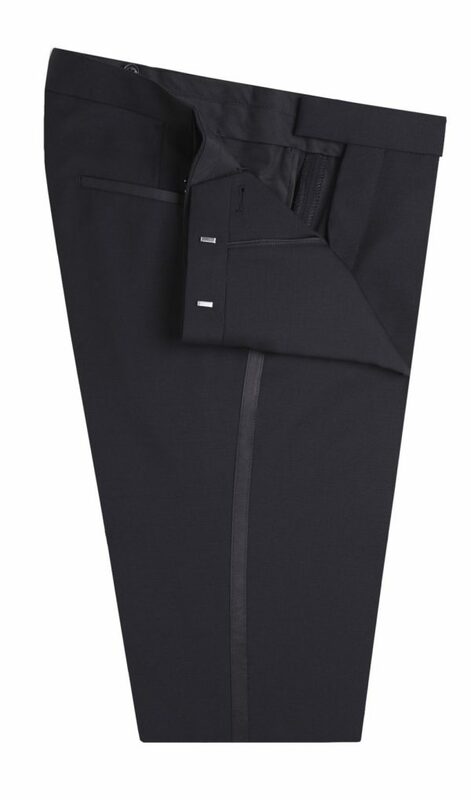 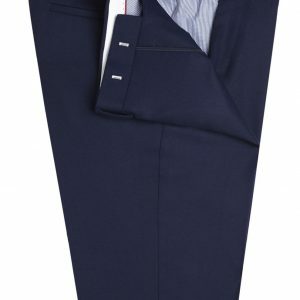 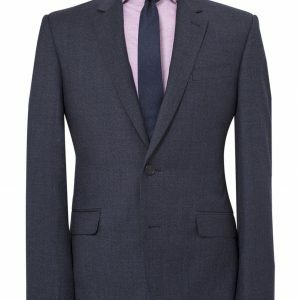 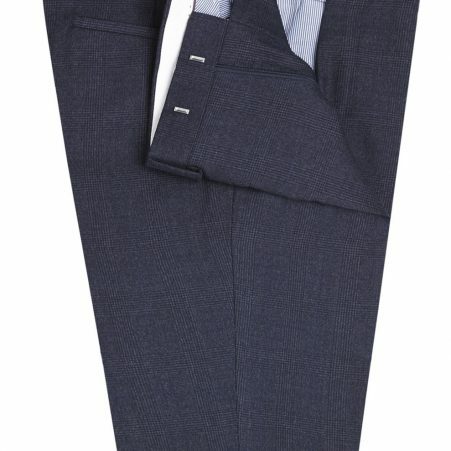 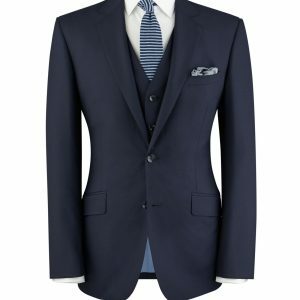 Tailored for a slim fit and designed with peak lapels and a single-breasted jacket, it has a clean, contemporary silhouette. 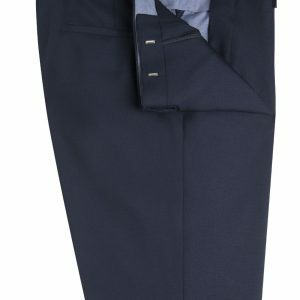 It features a partial canvas construction for light wear, so you can stay comfortable even as you celebrate right through the night. 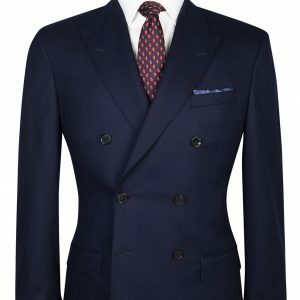 Shimmering satin accents to the lapels and jets add a final mark of sophistication.